This summer I have been hard at work in the Student Development Complex, here at Michigan Tech. It is a closed room with no windows, kind of odd for an exercise nut, but some of the best things are happening there! We have research going on testing the human body to its limits. Specifically, my research is testing the limits of our respiratory system during exercise. 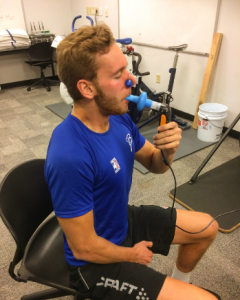 I believe that respiratory muscles are important in performance and if we can understand the limiting factors of the respiratory then we can help people with asthma, chronic obstructive pulmonary disease (COPD), and team and endurance athletes. I am taking members from our cross-country ski team and putting them through two arm cycling trials to failure, i.e. biking for your arms. One trial their whole body is 100% fresh, the second their respiratory muscles have been fatigued ~20%. During the trials, I track the time and all their respiratory and metabolic functions and compare them between the trials. I have had six people go through the tests and have seen a surprising decrease in time to failure when respiratory muscles were fatigued. Additionally, their breathing rate was low and volume high during the normal condition and it flipped during the fatigued condition, showing that when the muscles are already fatigued they work even harder trying to sustain performance. The next step in my study is finding out how and why this happens. Here in the Upper Peninsula of Michigan it can get hot, for us at least. Our lab is air conditioned, unlike most buildings up here, so we can have a consistent climate for testing and it is the place to be somedays. Research in the lab is a blast! When I have subjects in for testing we keep the mood light and keep them determined with some tunes, conversation, and cheering. There are also pros and cons to the lab, because I have ski team commitments to come accomplish, my mornings arriving in the lab for set-up are as early as 6:15 AM and nights can be the same, ending late, crunching numbers or safety checking our laboratory. 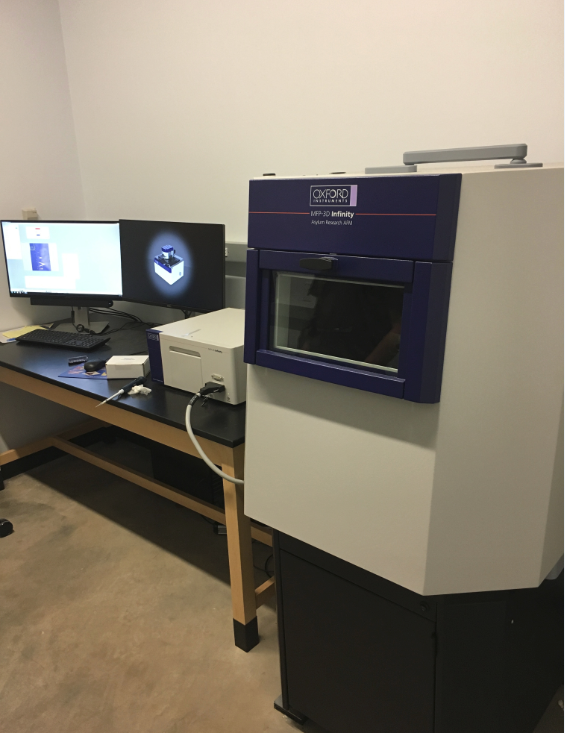 I have been learning a lot over the summer about different programs and technology we use in the lab. I’ve been fortunate enough to use ultrasound, metabolic carts, NIRS devices, and EMG. Currently my task at hand is to learn SigmaPlot, a graphing program that is Excel on steroids; I’m getting good at it! 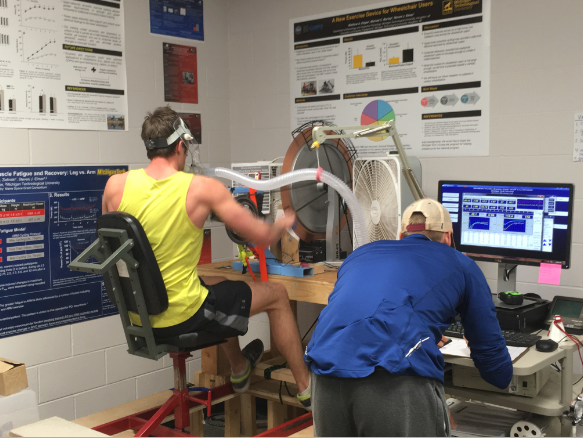 The main tests that I am running on subjects are maximum aerobic capacity and maximum upper-body exercise tolerance tests. Using flow meters I have also been able to test their basic respiratory function, one subject’s lungs could take in over 8 liters of air! A normal person his size would normally take in 5-6 liters of air. Our results are looking like we expect when we plot them out, but statistically only some are significant. The next step is to keep trucking on and see if the results stay consistent! Our lab isn’t just me and my research host, we are a team of many undergraduate, graduate, and doctoral students! It is amazing to see how we transfer knowledge and share ideas with each other. It is great that I can go to a doctoral student (a goal of mine) and get info on schooling and my research. I have been in the lab a while now and teach some of the undergraduate and graduate students how the equipment works with their research project protocols. In a few weeks, we will have a testing blitz for my project and get five participants through five days of testing each! My worst experience so far is troubleshooting our metabolic carts and lab computer… It was supposed to take an hour and ended being the whole day. My favorite part of lab also surprises me too, it is the intensity that all the team members bring to the lab, but when we have a BBQ we are all relaxing and playing yard games. Thomas Bye is a senior studying Exercise Science at Michigan Technological University in Houghton, MI. He is a research fellow in Dr. Steven Elmer’s laboratory at Michigan Technological University in Houghton, MI. 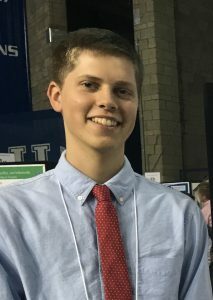 He is supported by the American Physiology Society Undergraduate Summer Research Fellowship. After graduating, he plans on becoming a physical therapist and being involved with research in sports. Later in life, he would like to be a professor to pass on what he has learned. The basics of locomotion must be understood to fully comprehend not only the actual movement that takes place, but the mechanical aspects behind those exact same movements to gain more knowledge as to why an animal uses a certain method of locomotion. Animals move with different gaits, whether it’s flying, swimming, running, and probably the most commonly used method of locomotion in humans – walking. For this reason, my project deals with observing turkeys while they run on a treadmill to characterize the transition that takes place from a walk to a run by measuring stride length and stride frequency. A stride is the action that occurs when a single foot moves from start to finish and usually takes place in two steps for bipedal or two legged animals. Stride frequency is the number of steps in a second by a single foot, and stride length is the maximum distance that occurs in a single stride. While running, humans experience an aerial phase, which is when both feet are off the ground at the same time. 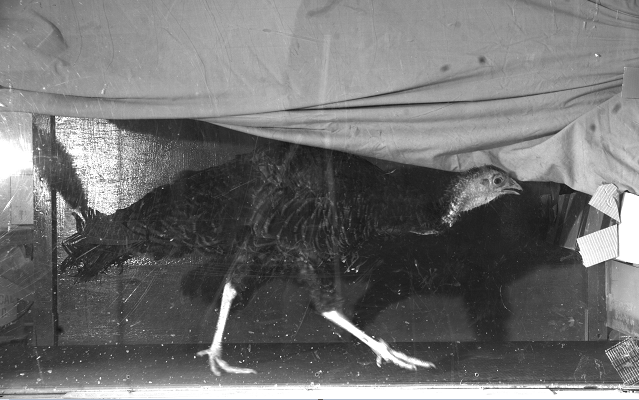 Turkeys are unique in this aspect in that they instead partake in grounded running, or running without an aerial phase. Turkeys may not seem like the most ideal animal model, but have been proven to be useful for studies that are interested in running mechanics and energetics to define principles that apply to plenty of other animals. Whenever an experiment is performed, every single aspect is not going to proceed the way it’s supposed to – no matter how much meticulous planning is involved. There were days when the turkeys were completely cooperative, and other days where obtaining footage wasn’t at all possible. Getting turkeys acquainted with using a treadmill for the first time is not their favorite activity, to say the least, but they have grown accustomed to it to some extent. I’m still in the process of obtaining data, but I hope to gain a clear understanding of the mechanism turkeys rely on when they shift gears from a walk to a run. What ultimately has surprised me so far is the amount of software and equipment available which makes, not only this project possible, but also other experiments that are being conducted by other lab members, and provides valuable information to understand the mechanics of turkey muscle. Despite running into usual situations when conducting an experiment, what I didn’t anticipate of this project was eventually learning how difficult it would be to handle turkeys to begin with. The day to day life of a scientist definitely has its benefits and setbacks when going through an experiment and actually being a part of a lab. Being a part of a lab team is intriguing in that over time you gain a better understanding and appreciation for what these people have been and currently are working on, and provides for a great learning opportunity whichever way you look. The down side of life in the lab is working on a project and motivating yourself to analyze and interpret your data as to what, and more importantly to formulate an explanation for the phenomena you have observed. Of course, all is not lost since you are given the chance to discuss what you’ve found with your lab members, but ultimately it comes down to what you think is going on. Although this may be true, pursuing research is not just a one-time occurrence but rather a giant learning process. Over time, you learn or figure out how something works, but that same answer leads to even more questions that you didn’t think of before. You may not always find the answer to begin with, and that in itself may feel defeating. Every obstacle is and should be seen as a learning opportunity, and despite all the unanswered “why” questions left in the world, research is there to help us create a roadmap to finding answers to these questions, no matter how small an answer may seem. Karina Vega is a rising Senior majoring in Biology at California State University, San Bernardino. She was one of the undergraduates selected for the 2017 Integrative Organismal Systems Physiology (IOSP) fellowship, conducting research in the lab of Dr. Thomas Roberts at Brown University in Providence, RI. 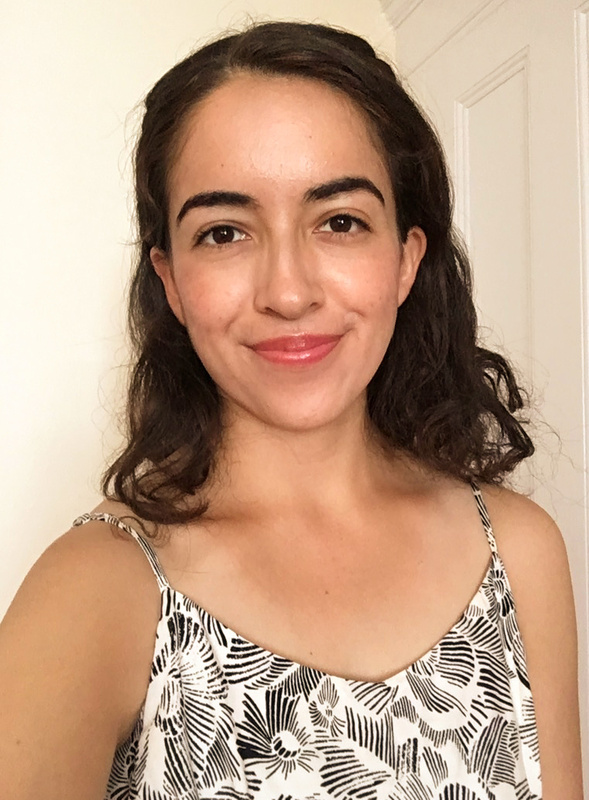 Karina’s fellowship was funded by the APS as well as the National Science Foundation Integrative Organismal Systems (IOS) (Grant #IOS-1238831). After graduation, Karina plans on obtaining her Ph.D. in comparative physiology in hopes of pursuing a career in academia. The Western diet is high in fats and sugar and can lead to an increase in metabolic diseases, which cause a chronic state of peripheral inflammation (1). My project this summer aims to observe the effect of diet on brain inflammation. We used a mouse model of tagged peripheral monocytes (3). Monocytes turn into macrophages, which target inflammation in the body and brain (2). These mice were fed either a diet high in fat and fructose or a normal diet for 5 weeks. Then the blood from their brain was washed out, and the brain was sliced. The slices were stained for the genetic tag for the peripheral macrophages. Peripheral macrophages found in the brain suggest that chronic inflammation weakens the blood-brain barrier, allowing peripheral macrophages to cross where they increase brain inflammation. 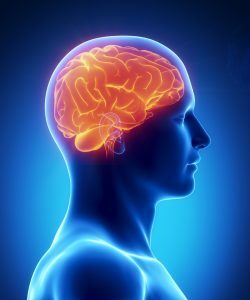 This may cause damage and may have links to diseases such as Alzheimer’s Disease and Parkinson’s Disease, which show increased inflammation in the brain (4). This project would further support the idea that a healthy diet could be a key factor in prevention of brain diseases. This project, as well as science in general, had many obstacles that I had to overcome. Originally, I planned to analyze a different genetic mouse that modeled Alzheimer’s disease. Those mice were also going to be fed a high fat high fructose or control diet, and were going to be compared to see if there was an increase in peripheral macrophages in the brain in diet treated mice. However, those brains didn’t have the blood cleared from the brain, which limited our ability to see the stain. To overcome that problem, we used the new mouse type that had peripheral monocytes tagged, which had the blood removed from it. With this new mouse model, I would have a smaller number of animals, but I could better test my hypothesis. I enjoy the day-to-day life in research. I was expecting it to be somewhat repetitive, but that was far from the case. I had many problems that I had to solve and was constantly learning, which made the time fly by. My day was broken up by working on different parts of my experiment, writing and reading literature, and meeting and talking with my lab members. The best part for me was that I constantly learned new things. There were many hiccups in my summer experience, which were disheartening at times. However, solving these problems and further learning more made it rewarding as well. The Tansey lab has many members who have been very helpful in solving these problems. I enjoyed being a part of a larger team, as there were so many projects going on that I could learn from. De Sousa Rodrigues, M. E., Bekhbat, M., Houser, M., Chang, J., Walker, D., Jones, D. P., Oller do Nascimento,C., Barnum, C. J. & Tansey, M. Chronic psychological stress and high-fat high-fructose diet disrupt metabolic and inflammatory gene networks in the brain, liver, and gut and promote behavioral deficits in mice. Brain, Behavior, and Immunity 59: 158-172, 2017. Khoury, J. E., Toft, M., Hickman, S.E., Means, T. K., Terada, K., Geula, G., & Luster, A. D. Ccr2 deficiency impairs microglial accumulation and accelerates progression of Alzheimer-like disease. Nature Medicine 13: 432-438, 2007. Saederup, N., Cardona, A. E., Croft, K., Mizutani, M., Cotleur, A. C., Tsou, C.-L., Ransohoff, R. M., & Charo, I. F. Selective chemokine receptor usage by central nervous system myeloid cells in CCR2-red fluorescent protein knock-in mice. PLoS ONE 5: e13693, 2010. Selkoe, D. J. The therapeutics of Alzheimer’s disease: where we stand and where we are heading. Annals of Neurology 74: 328-336, 2013. 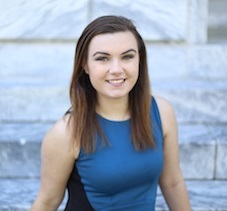 Lindsey Sniffen is a senior majoring in Neuroscience and Behavioral Biology at Emory University in Atlanta, GA. She is a 2017 Integrative Organismal Systems Physiology (IOSP) Fellow in Dr. Malu Tansey in the Department of Physiology at Emory University in Atlanta, GA. Her fellowship is funded by the APS and a grant from the National Science Foundation Integrative Organismal Systems (IOS) (Grant #IOS-1238831). After graduation, she plans to pursue a Ph.D. in pharmacology, and then work in the pharmaceutical industry. 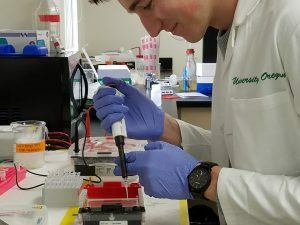 This summer, I’ve been working full time in the Obesity and Metabolism Lab, within the Human Physiology Department at the University of Oregon. The lab as a whole is pursuing several research objectives related to how human health is impacted by obesity and high fat diet (HFD), which affect more people today than ever before. The objective of my research is to understand how insulin-resistance, the hallmark symptom of type-II diabetes, develops as a result of obesity and HFD. Insulin is a hormone produced in the pancreas that is delivered throughout the body, signaling cells when they need to take up glucose from the bloodstream for energy. Cells respond to this communication with a so called “signaling cascade.” Insulin binds to a receptor protein at the surface of the cell, sending the signal via more protein interactions inside the cell, toward the nucleus. This eventually leads to new proteins being made from the cell’s DNA, which will help with glucose uptake. These pathways can be very complex, and have “cross-talk” with other pathways for different cellular functions. If the exact mechanisms of the entire insulin signaling pathway where known, then it would be much easier to see exactly where diabetes causes a disruption, and potentially develop better treatments or a cure. My project looks at just one protein in the insulin signaling pathway, called phosphatidyl inositol-3-kinase and one of its regulatory subunits called p55a. I’m looking to see if fat cells (called adipocytes) behave differently when p55a is upregulated. When there are relatively high amounts of this regulatory subunit, does the cell become more sensitized to insulin, or less? Does it take up glucose better, or worse? These observations will hopefully allow me to infer how p55a modulates PI3K’s role in the insulin signaling pathway. As my first real research experience, I’ve learned a lot about the process of laboratory work. The biggest thing I’ve noticed so far is that my experiment isn’t moving as quickly as I had anticipated. Much of my time has been spent troubleshooting. I’ll try a procedure, it won’t quite work as it should, and I’ll have to re-trace my steps to determine how I can optimize the process or correct problems. It seems like each week something new arises that needs to be re-done two or three times. For example, I’ve been growing mouse cells in flasks which I will use for my experiment once they have “matured” into adipocytes. This process requires about two weeks of careful cell maintenance, and I’ve had to start over once because they didn’t develop properly. The other researchers in my lab have told me that they, too, still spend a lot of time troubleshooting, and that being able to recognize necessary adjustments is a crucial skill for a scientist to possess. My day-to-day life as a research scientist is quite different than it was in all my previous jobs. The work is very much self-supervised, and I have a freedom to plan out my daily tasks in an order that I choose. On the other hand, certain time-sensitive procedures dictate my schedule very strictly, such as changing out the growth media for my cells. This needs to be done every three days, or the cells can die. When juggling multiple projects such as this, I’ve found that making a specific schedule is key. I often write out game plans which allocate time to each of my required tasks for the coming days. This keeps me working efficiently, without losing sight of the broader goals for my ten-week fellowship. Working as part of a lab team is my favorite part. Every day, I’m learning valuable new skills from my co-workers and asking them interesting questions. They’ve all been very accommodating and willing to teach me. We’ve discussed all kinds of topics, ranging from protein function to the application process for graduate school. The lab is an intellectual environment in which I’ve definitely enjoyed spending my summer. 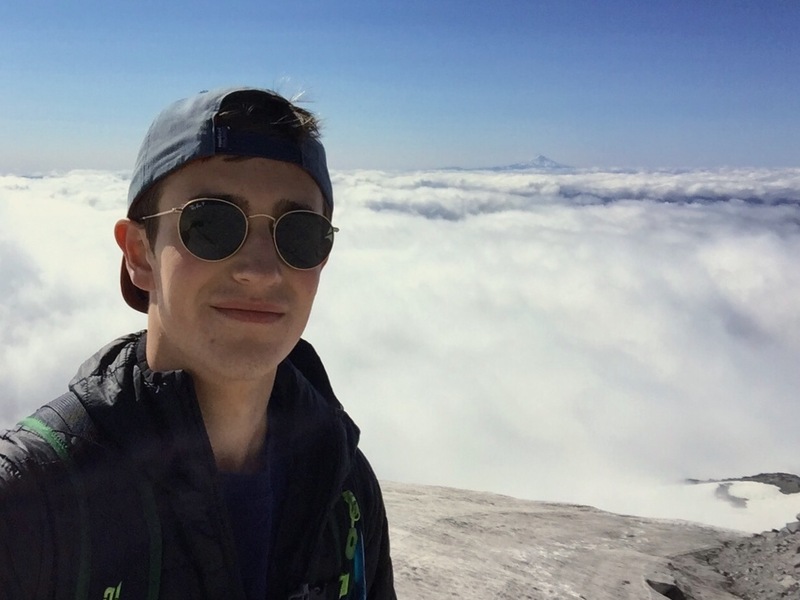 Shawn Melendy is a junior majoring in Biochemistry at the University of Oregon in Eugene, OR. He is a 2017 APS STRIDE Fellow working in Dr. Carrie McCurdy’s Obesity and Metabolism research lab at the U of O. Shawn’s research is funded by the APS and a grant from the National Heart, Lung and Blood Institute (R25 HL115473-01), as well as Dr. McCurdy’s grant from the NIH (R01 DK095926). After finishing his bachelor’s degree at Oregon, Shawn plans to attend graduate school and earn a PhD. in biochemistry, pursuing a career as a research scientist. This summer in Flagstaff, Arizona at Northern Arizona University (NAU) I worked with Dr. Samrat Dutta in the Nishikawa Lab for biomechanics performing atomic force microscopy (AFM) on the N2A region of titin molecules at different pulling speeds in both the presence and absence of calcium. Titin is found in vertebrate muscles and is the largest known protein molecule (Nishikawa et. al, 2011). Currently, we know that titin functions in passive muscle movement. However, it may provide an important addition to our current understanding of both active and passive muscle function (Nishikawa et. al, 2011). Understanding titin isn’t just revolutionary for muscle theory, Nishikawa’s lab is applying this new information to improve prosthetics. AFM is a non-conventional type of microscope (shown below) that allows us to record the stiffness and stability of biomolecules such as titin by pulling on its spring-like domains. The titin is chemically attached to a surface and the AFM traverses that surface and records changes in its topography using a laser. This experiment allows us to predict the behavior of titin and its contribution to muscle force under different conditions. Working with AFM has been a steep learning curve for me. AFM wasn’t a process that I was at all familiar with before this summer. With guidance from Dr. Dutta over the course of these 10 weeks I’ve learned about the chemistry, function, and potential of AFM. Unfortunately, we received low usable data yields and this may have been a result of the protein unfolding before the experiment began. As a result, there was a lot of tweaking of our methods to gather a larger set of more accurate data. The analysis of our data afforded me an opportunity to learn physics and chemistry beyond the scope of my university classes. However, we have not yet completed the analysis of our data. I look forward to seeing the outcome of our experiment and contribute to the ever-growing data on titin. Hopefully, my research will answer how much force titin can contribute and in comparison to previous works, does the N2A region of titin react differently than other regions. What was it like working in the lab? Dr. Kiisa Nishikawa’s lab group is filled with scientists doing various projects in all different disciplines of the muscle physiology field. Throughout my time at NAU, I had the opportunity to network and learn from all different kinds of people such as postdocs, graduate students, and full professors. They all guided me through my new environment at NAU and supplied me with both professional and scientific knowledge from their different disciplines. Working in a collaborative group meant having support during disappointing moments and always having someone to run ideas by. When the experiment wasn’t producing the amount of data we expected, a team of graduate students and postdocs helped my mentor and I brainstorm possible causes and solutions. This brainstorming session was how we determined that dialysis may be a useful alternative to our previous protein purification method. Working with a large team also means that you must share resources and space which, can make things more difficult. Overall, this summer was an invaluable experience in many aspects and it wouldn’t have been possible without the American Physiological Society (APS). I want to thank APS for allowing me and so many other undergraduates the opportunity to contribute to different fields of research. Nishikawa, K. C., et al. Is Titin a ‘Winding Filament’? A New Twist on Muscle Contraction. Proceedings of the Royal Society B: Biological Sciences 279(1730), 981–90, 2011. 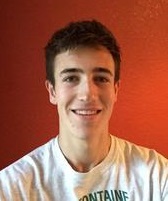 Blair Thompson is studying biology at Scripps College in Claremont, California. 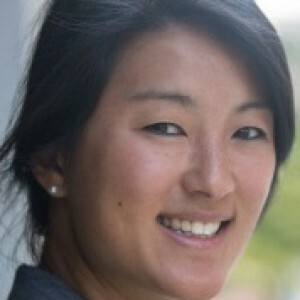 She is a 2017 fellowship recipient of Integrative Organismal Systems Physiology (IOSP) funded by the APS and a grant from the National Science Foundation Integrative Organismal Systems (IOS). She worked with Dr. Samrat Dutta and Dr. Jenna Monroy at Northern Arizona University this summer. 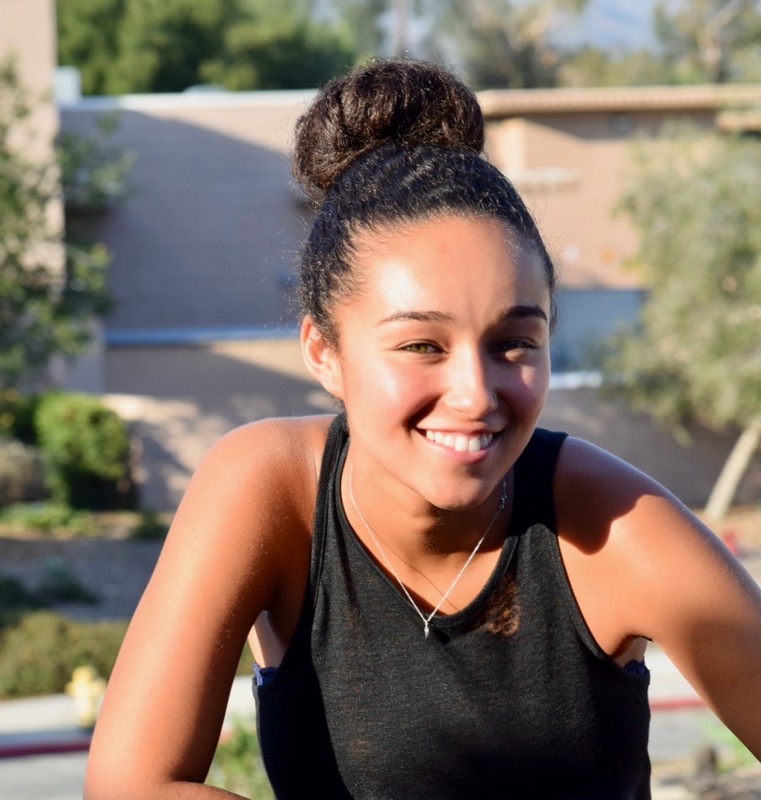 After graduation, she plans to attend medical school and become a physician. Does Light Pollution Cause Heart Disease in Mice? Light levels at night have significantly increased since industrialization1. During this same period of time, there has also been an increase in the incidence of heart disease. Previous studies have shown that light pollution, which is experimentally called dim light at night (DLAN), disrupts circadian rhythms1-2 and increases the likelihood for developing obesity2-3, but its connection to cardiovascular disease is not known2, 4. My experiments this summer determined if DLAN increased atherosclerosis the mouse aorta. I also analyzed eating behavior to confirm previous studies that DLAN causes a higher proportion of eating to occur during the day than normal2. My research is part of a larger project that focuses on disruption of daily rhythms and heart disease. The project will hopefully give new insight into possible causes of the global increase in heart disease. A greater understanding can lead to prevention and treatment of heart disease. Dr. Pendergast often reminds everyone in our lab that results will not always support the hypothesis. However, she also says that unexpected or negative results are still relevant and can lead to new experiments. The first couple of rounds of my experiment were mainly just working out kinks in the experimental protocol such as adjusting light levels to set up the DLAN conditions. I also learned new techniques including genotyping using PCR, mouse care, analyzing eating behavior, and aorta dissection and cleaning. Preliminary eating behavior data show that exposure to DLAN may lead to eating at the wrong time of day in mice. The atherosclerosis data obtained so far has shown high levels of atherosclerosis in male mice exposed to DLAN, and normal levels in female mice. Although the sample number is still low, the results do seem to suggest that exposure to DLAN increases atherosclerosis in male mice. Since I am doing research with mice, mouse care is an everyday task in my research experience. Using mice for experiments is exciting because they provide data simply by being housed in their light-tight boxes with food and water. Getting results and sharing them with the lab is one of my favorite parts of research because it always leads to a discussion of what the results mean and the future directions of the experiment. However, the analysis of this data, such as watching hours of videos of eating behavior, is not the most exciting process. Being part of a research lab is interesting because of the daily discoveries about animal physiology, which lead to thoughtful discussions about how they relate to everyday life. Overall, research has been a valuable experience for me that has strengthened my time management, leadership, and problem-solving skills. 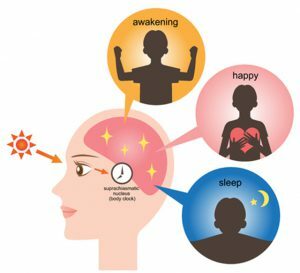 Fonken, L. K.; Aubrecht, T. G.; Melendez-Fernandez, O. H.; Weil, Z. M.; Nelson, R. J. Dim light at night disrupts molecular circadian rhythms and increases body weight. Journal of biological rhythms 28(4), 262-71, 2013. Fonken, L. K.; Workman, J. L.; Walton, J. C.; Weil, Z. M.; Morris, J. S.; Haim, A.; Nelson, R. J. Light at night increases body mass by shifting the time of food intake. Proceedings of the National Academy of Sciences of the United States of America, 107(43), 18664-9, 2010. McFadden, E.; Jones, M. E.; Schoemaker, M. J.; Ashworth, A.; Swerdlow, A. J. The relationship between obesity and exposure to light at night: cross-sectional analyses of over 100,000 women in the Breakthrough Generations Study. American journal of epidemiology, 180(3), 245-50, 2014. Morris, C. J.; Purvis, T. E.; Hu, K.; Scheer, F. A. Circadian misalignment increases cardiovascular disease risk factors in humans. Proceedings of the National Academy of Sciences of the United States of America, 113(10), E1402-11, 2016. 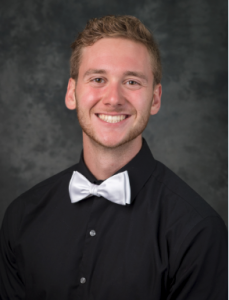 Robert Wendroth is a senior at the University of Kentucky in Lexington, KY, majoring in Chemistry and Biology. He is working at the University of Kentucky in Dr. Julie Pendergast’s lab. He is a 2017 UGSRF fellow, which is funded by the American Physiological Society. After graduation, Robert plans to attend medical school and become a physician who also performs research.